Nichol lives in western Kansas and has three kids: Brenden (17), Payton (16) and Ethan (11) that keep her super busy with their sports and other activities. 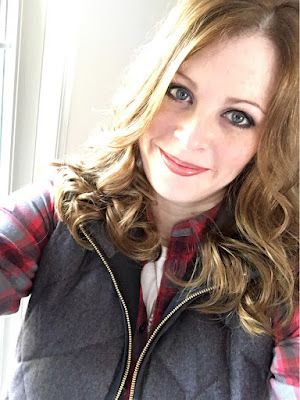 When she isn’t running kids around, she loves to read, organize, quilt, and travel. Nichol has been scrapbooking and paper crafting for 16 years and has enjoyed working with many design teams throughout that time as well as teaching classes and sharing how-to videos on her YouTube channel. 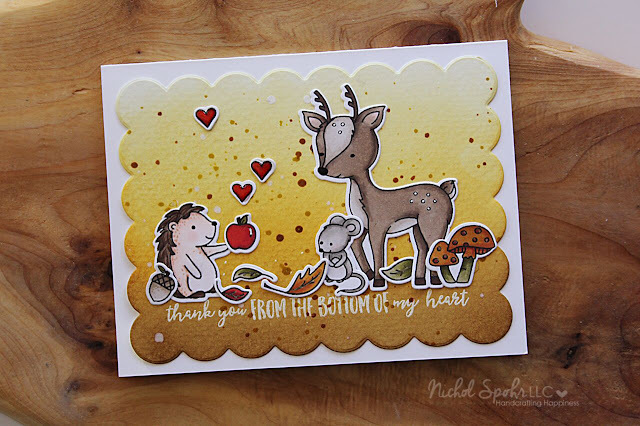 Nichol regularly updates her blog with new projects and shares lots of paper crafting related pictures on her Instagram and Facebook accounts. 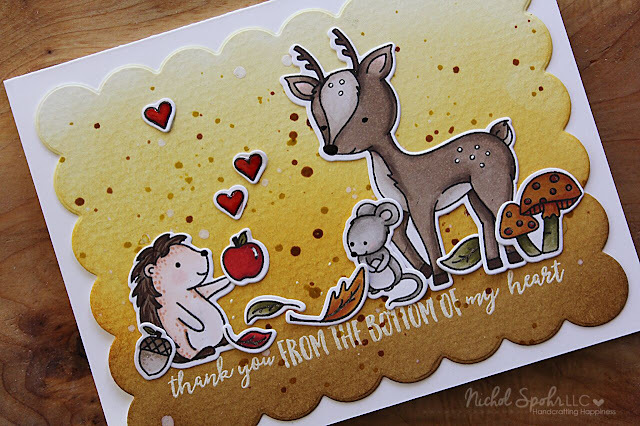 To see more of Nichol's work, visit her blog HERE. Now that you've gotten to know Nichol a little better, check out her first project this month. Nichol will be sharing again with us in a couple weeks as next week is release week! We'll see you back here bright and early Monday morning! FABulous card Nicol - LOVE! Hi Nichol! I love your card! 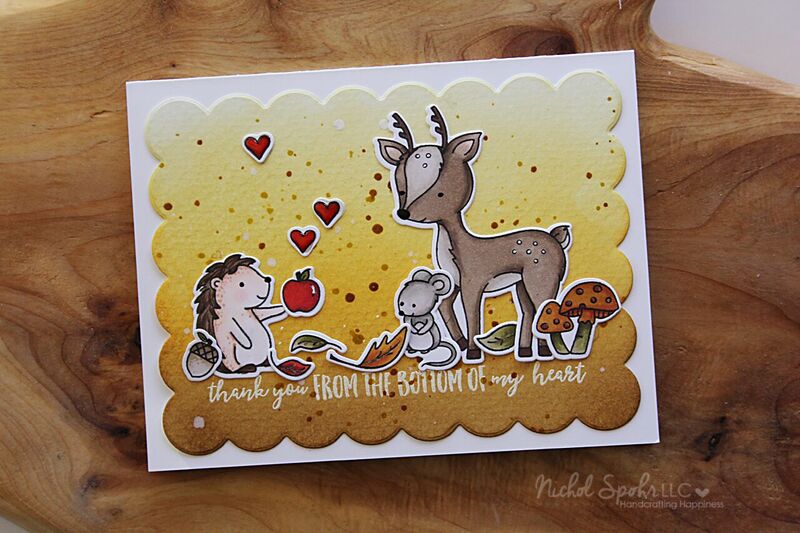 It is so cute with the deer and the woodland animals. Not to crazy about mice right now because I found some in our basement when a bag of flower had a hole in it & mouse poop around it. Gross! I can't wait to get those suckers. I love how you did some splatter painting on the background, a fave of mine to do in my art class in high school. You even used my favorite color in the background, yellow, and I thank you for that. 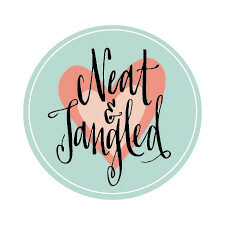 It's a great card and welcome to Neat & Tangled. Kid with a Microphone + Weekend SALES!!! November 2016 Release Week Wrap up!